The main goal of this project funded by the Italian regional Government is to develop and test prototype analyzers for routine laboratory use and for on-line application to measure algal toxins in fresh and coastal water. An automated method for the quantitative detection of micrcystins in surface water, to be applied in the above mentioned prototype analyzers in under development. a modular automated measurement prototype suitable for the automated measurement of Sulfonamides in seawater was successfully designed, built, tested and coupled with a sample pre-concentration device. a modular automated measurement prototype suitable for the automated enzyme-based measurement of Okadaic Acid in seawater was successfully designed, built, and tested. 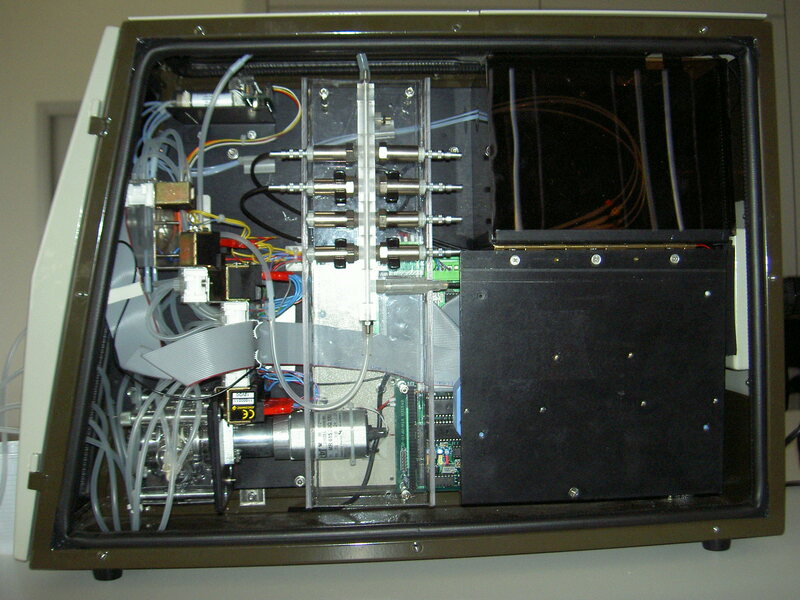 a modular automated measurement prototype suitable for the automated detection and characterization of toxic algae in seawater was successfully designed, built, tested, coupled with a cell pre-concentration and lysis device and installed on field in a coastal buoy in Piran, Slovenia. a modular automated measurement prototype suitable for the automated measurement of Domoic Acid, Saxitoxin and Okadaic Acid in seawater was successfully designed, built, tested and installed on field in a floating platform in La Spezia, Italy. 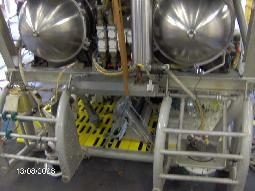 a modular automated measurement prototype suitable for the automated measurement of PBDE and Glyphosate in seawater was successfully designed and built and is currently still under testing. a multiparameter probe for the sequential analysis of ammonia, nitrite, nitrate and phosphate was built and installed on field in a coastal buoy in Piran, Slovenia. a probe suitable for the automated measurement of Sulfonamides in seawater was successfully designed, built and deployed in Volos, Greece. 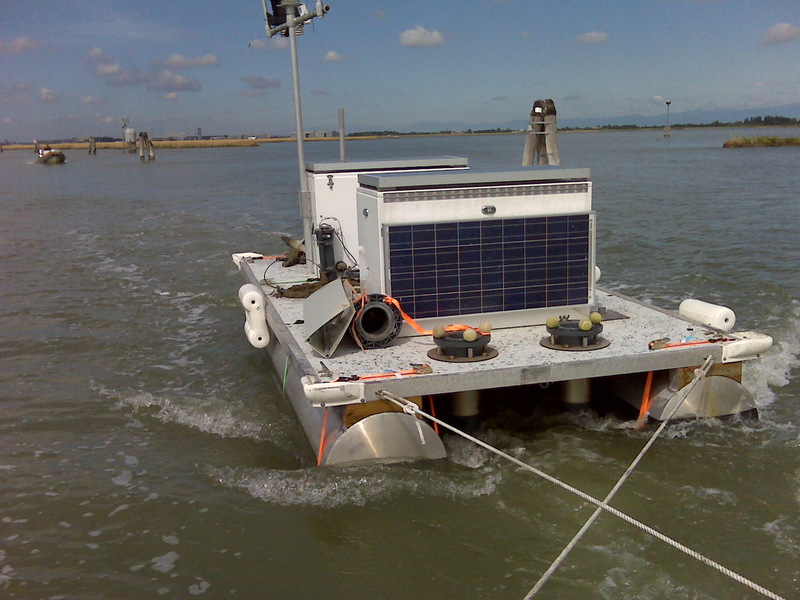 WARMER was a FP6 research project funded by European Commission to develop a real-time water quality monitoring system for Risk Assessment; it run for three years and it ended on 31-08-2009. WARMER was concepted as an interdisciplinary project to integrate R&D activities in a number of different disciplines, such as chemistry, electronics, information technology, networking and micromechanics. The final result was a relocable water monitoring floating platform equipped with a series of multi-parameter water quality sondes, to be effectively used for water risk management. a multiparametric benchtop analyzer was developed and tested in laboratory to automatically manage a series of miniaturized potentiometric electrodes, developed by other University partners, to measure Cl, NO3, NH3, Cd, Cu and other ions. Field measurement data were linked to remote sensing Earth observations using an existing Web based remote data management system developed by NERSC partner. The general objective of the EC FP6 R&D EXOCET/D project was to develop, implement and test specific instruments aimed at exploring, describing, quantifying and monitoring biodiversity in deep-sea fragmented habitats as well as at identifying links between community structure and environmental dynamics. Onboard experimental devices complemented the approach, enabling experiments on species physiology. Within the large project consortium, SYSTEA was involved to develop and test during an experimental trip in Azzorre Islands the multiparametric Deep-sea Probe Analyzer (DPA), integrated inside Ifremer'sw ROV Victor-6000; the probe was able to measure Total Iron and Sulphide near vulcano's hot plumes at -1.500 m depth during a cable driven monitoring session of some hours long. For additional information about the project, please click here. The objective of SEWING FP5 EC R&D project was to create a system of continuous water pollution monitoring in real time. Small and relatively cheap miniaturized potentiometric sensors (Chemfets) were developed and applied in a Loop Flow Analysis based prototype developed by SYSTEA and integrated with a specific algorithm to mitigate cross interferences between detected parameters (NH3, NO3) and main interferents (Na, K).